The Fire Truck Bouncer is a great unit for your rental business, Church, or just to own with a few friends or neighbors. 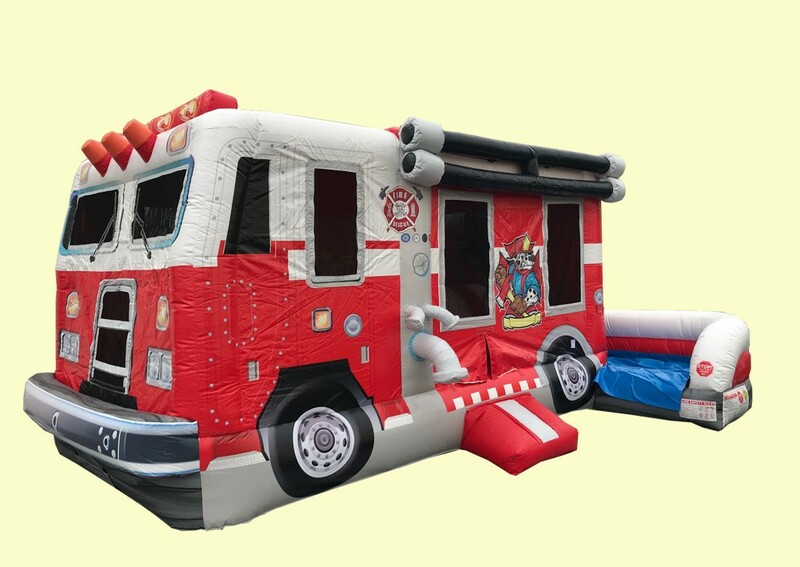 Every little boy dreams of being a fire fighter one day, make their dreams come true with this Fire Truck Bounce House! Made of heavy duty commercial grade 18oz reinforced PVC Tarpulin material. Our KidWise Units are backed with a One Year Warranty against material defects and workmanship.